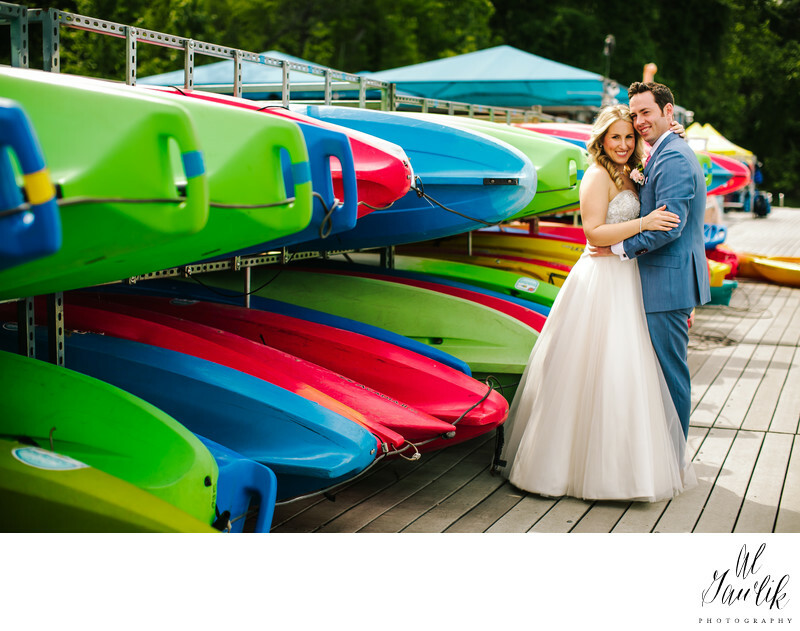 It might be paddle boards and kayaks after the wedding. We don't know if this is how Marie and Ryan are going to get to their destination but maybe it's how they met, or their favorite pastime in the waters around Austin, Texas. What we do know is that they are one happy couple in this wedding portrait by aL Gawlik Photography.